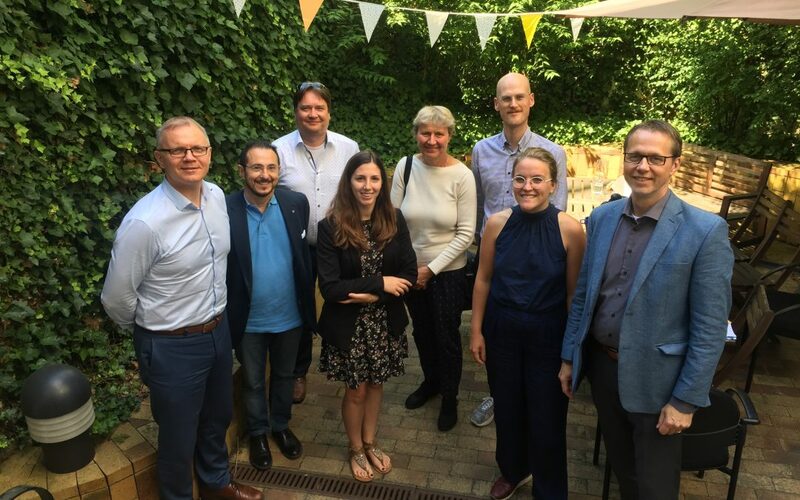 Network representatives will hold meetings this week with their northern European counterparts (NSPA network) as well as with the Permanent Representation of Castilla y León, Castilla-La Mancha and Aragón in Europe. In addition, SSPA will participate in a conference on depopulation and the future financial framework in the Committee of the Regions of Brussels. Intense week of meetings and conferences for the Network of Southern Sparsely Populated Areas. Representatives of the Network travel to Brussels this Thursday, June 28 and Friday, June 29, with the aim of transferring to the European actors the need for EU legislation to adapt to the problem of depopulation and aging, particularly in areas that are sparsely populated and with serious and permanent demographic disadvantages. To this end, SSPA will hold on Thursday a first meeting with its counterpart in northern Europe, NSPA Network (Northern Sparsely Populated Areas), an organization that has existed since the year 1992, comprising fourteen depopulated regions of Sweden, Finland and Norway. The purpose of this meeting is to follow the relationship between the two networks, specifying the form of cooperation and evaluating the steps to be taken after the position of the European Commission post-2020, which does not include a specific fund to fight against depopulation in its proposal for the European regional policy for the period 2021-2027. Both SSPA and NSPA have common objectives: they advocate a strong post-2020 cohesion policy for all regions, with adequate financing and flexibility to generate jobs and sustainable growth, always taking into account the specific needs of sparsely populated regions. Finally, the Network will also participate, on Friday, June 29, in the conference “Depopulation and aging in the EU Regions. The future Multiannual Financial Framework (MFP) 2021-2027 and case studies” in the Committee of the Regions in Brussels. A day to discuss the perspectives of the European Union financial framework on depopulation and where the main ones will be presented regional initiatives. SSPA network will continue to work, both at European and national level, so that policies that help to alleviate the demographic challenge are applied. For this reason, the Network of Southern Sparsely Populated Areas will present arguments to the budget proposal of the European Commission for the period 2021-2027, which has ignored the demographic challenge, inviting anyone who wants to express to the Commission that must rectify the proposal, does so through the web of the SSPA, where the steps to be given are explained and an example of an allegation document is available to be used as a reference. The Network of Southern Sparsely Populated Areas (SSPA) is an inclusive organization that aims to achieve legislative and political measures in Spain, Croatia and Greece and in Europe and in the next programming period of 2020, aimed at reversing the process of depopulation and its consequences. The SSPA unites the five southern European provinces recognized by the European Union for having a population density of less than 12.5 inhabitants/km2, which are found in Spain, Croatia and Greece. The network, founded in 2016, is formed by the business confederations of Cuenca, Soria and Teruel, the local action groups of the three Spanish provinces, the Lika-Senj County Development Agency (Croatia), their local action group and the Regional Government of Evritania (Greece).